People often think that things need to be far away from themselves to be interesting or cool. That’s just not the case. I have been looking for things around my (current) town of Cedar Falls, Iowa that can be counted as interesting or cool, in the gearhead sense. Here’s a short list of what I have found thus far. 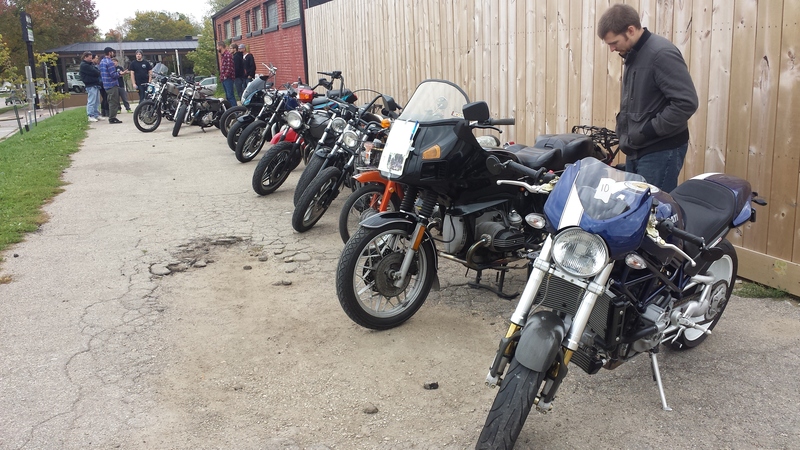 MotoGents – A group of friends who like motorcycles, building them, and living the lifestyle. They had their first motorcycle show the other weekend in town and it was a lot of fun. I met a lot of new people who have a similar passion for bikes as myself. My bobber was welcomed and I saw a lot of other cool local bikes as well. Team SpeedASalt – A local shop teacher who got the need for speed after visiting the Bonneville Salt Flats recently. He has since banded together a group of people who enjoy performance vehicles and he is building a land speed racer, locally! Waterloo Technical Society – This is a group of people who are passionate about technology. They meet once a month to talk about their latest projects, meet like minded people and learn about something cool being done locally. I just found out about this after 2 years living here. Cedar Falls Raceway – This is a local drag strip. It’s so great to be able to drive 5 miles to a drag strip, make 20 passes (for $25) and be home in 5 more minutes. You also meet lots of people who would love to give you advice. They’ve been there, done that and they want to help you avoid the same mistakes they made. 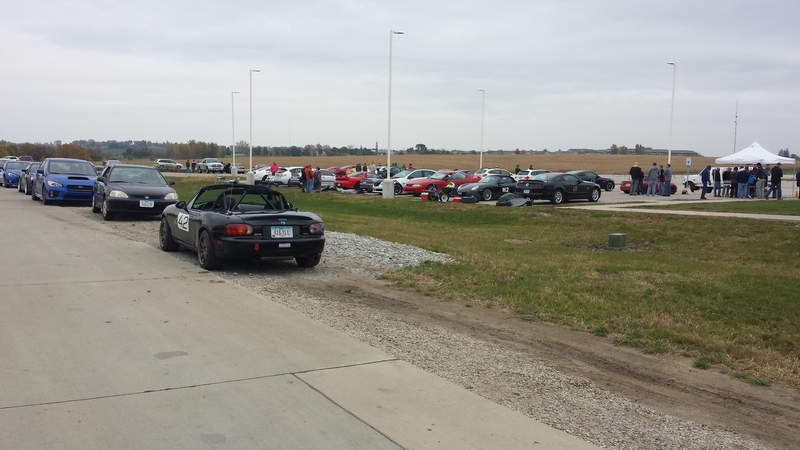 Iowa SCCA – If you’ve never been to a SCCA race but you love cars, you need to go. SCCA = Sports Car Club of America. They host race events in parking lots and race tracks. It’s another great place to meet people passionate about cars, like yourself. They have them all over the country. Find your nearest and run what you brung. 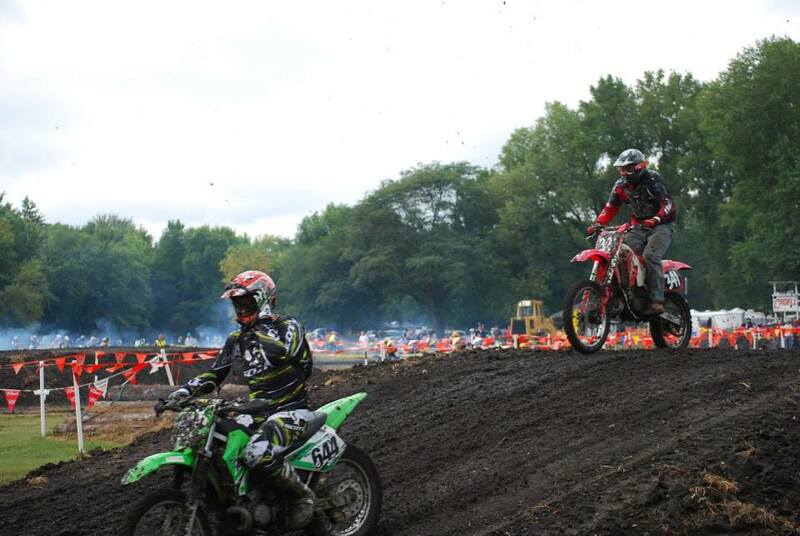 Iowa Enduro Riders Association – This is the local dirt bike racing community. They are sanctioned by the AMA (American Motorcycle Association). I have driven a hare scramble and they are one of the most fun ways to be a gearhead. You get so much seat time, 2 hours, vs. 1 minute for the SCCA or 10 seconds for drag racing. They have events all over the state so you can do them every weekend, or just when they are close, like I do. Monster Jam! – There will be a Monster Jam event in my backyard soon. I’ve never been to one, but I have been wanting to for a few years only. Huge trucks, huge engines. These things are technical masterpieces. What isn’t to like for a gearhead? Independence Motor Speedway – Dirt Track Circle Track racing has been in my family for many years. I have had a love/hate relationship with it in that time. It can get stressful in the pits! But I usually enjoy watching something live instead of watching it on tv. Check it out! Iowa Speedway – This is a (relatively) local NASCAR track. It’s about 1.5 hours from my home, which is not that far to see something that is broadcast nationally. I had never been to a NASCAR race before this year and it was a great time. Twisted Kreationz– A local painter. His work looks good. I haven’t talked with him personally, yet. 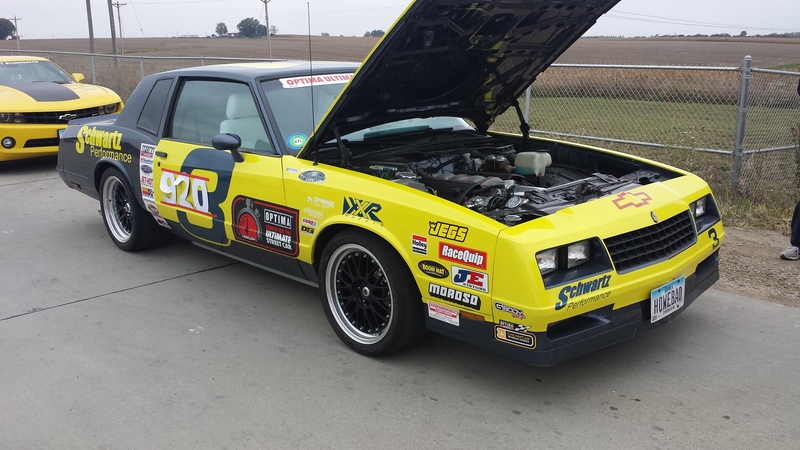 This Monte Carlo – This car built by Daniel Howe, Iowa local. It’s been featured in many magazines. I ran into Dan recently at a SCCA event (see above) and he was a great guy to talk to. He was so passionate about his car. It was double interesting to me as I also have a Monte Carlo and had recognized his car at a show a year earlier. Car shows – There are plenty of local car shows. You just need to look for them! One of my favorites is Vintage Torque Fest in Dubuque, IA. 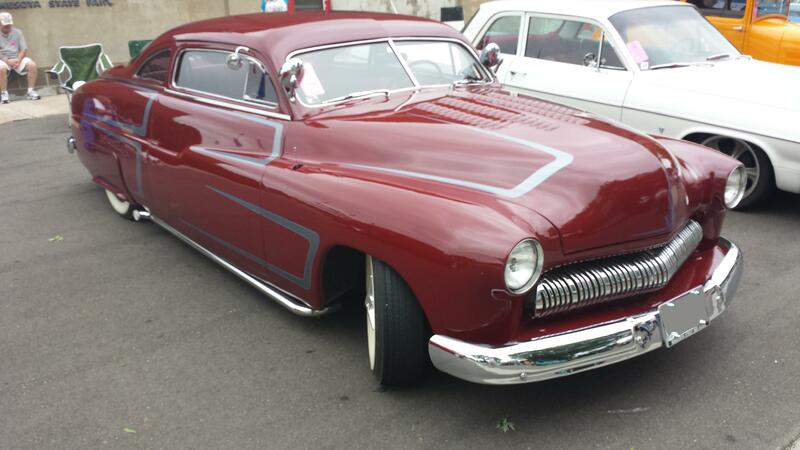 Check out some local cars here. Antique Archeology – More commonly known as The American Pickers Guys. I haven’t been there yet, and they don’t only do cars, but they do find some occasionally. JP Cycles National Motorcycle Museum – This is a motorcycle museum that is full of motorcycles of all brands. You can get so close to the bikes and the variety is incredible. This is just a short list of a few of the local things I have thought of. There are so many other people I have met and things I have watched and participated in. I hope this inspires you to look locally for cool things happening in your community. Do you usually feel you need to travel far to see “cool” or “interesting” events and people or do you embrace the resources in your local community? What is your favorite local gearhead happening? What is your favorite local car builder? Much like cars, there are many different types of motorcycles. This guide will give you some idea of what’s what. As with all “guides” this is based on my personal opinion which is mostly in line with “normal” motorcyclists, but as always, where undefined terms are used, there will be some discussion as to if a certain bike is this or that style. Things that help define the different style of bikes are: rider position, hand position, engine size and engine power delivery. The first group of bikes I’ll review is what is probably the most plentiful types of motorcycles. They are also the oldest types of bikes. Cruiser: Harley Davidson. Their most common type of bike is a cruiser. Just saying the name should put the general idea in peoples heads. Cruisers have a seating position that is “feet-forward”, ahead of the rider. The handle bars are wide and high, usually. There are heavy cruisers and lightweight cruisers and they can range in engine displacement from over 1818 cc (cubic centimeters), (111 CI – cubic inches), to as low as 125cc. As their name implies, cruisers are used for driving long distances in relative comfort. This is a stereotypical Harley “Cruiser” 1989 Harley Davidson Softail Custom. This is a pretty generic crusier. It has a large seat. The foot pegs are in front of the rider. It has mini ape hanger handle bars. The rider sits in a slightly reclined position. This is me, 2010, I think. Don’t judge too much! Touring bikes, often called baggers are a subset of cruisers that I think deserve a separate mention. They have their own magazine, which is enough for me. Also they generally add a few things over a basic cruiser. Basically a larger front fairing and the cargo bags. These bags can be hard (plastic or metal), or soft (leather). Traditional touring bike/bagger. This is basically factory stock. Notice the smaller front tire. This bike also has more distance between the bags and the ground. 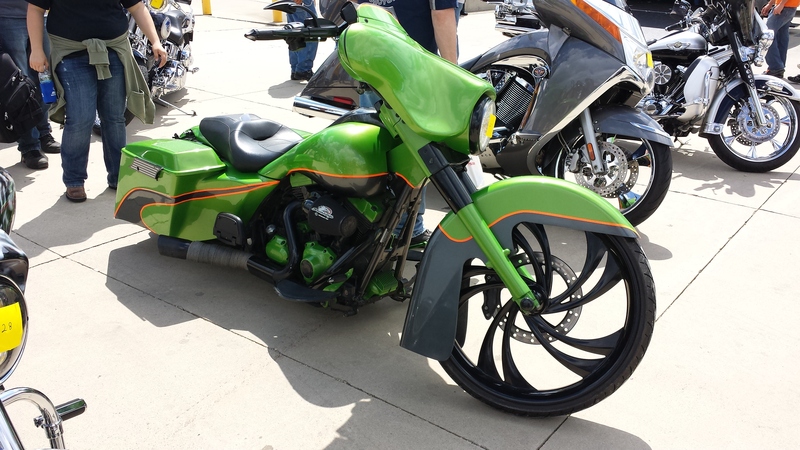 This is a “custom” Bagger. 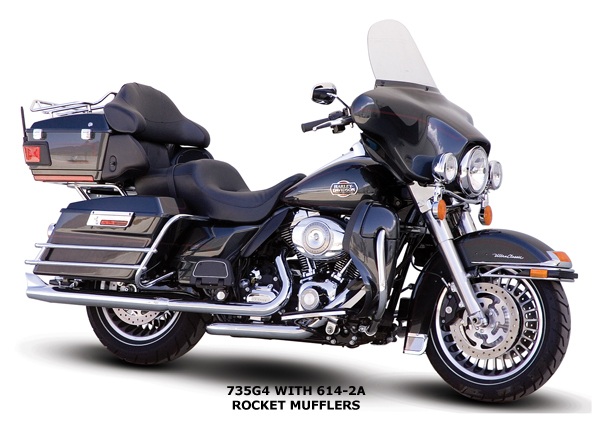 It has a larger front tire and the rear is lower than a “normal” bagger. See the hard bags on the rear. Also it has a large front faring. 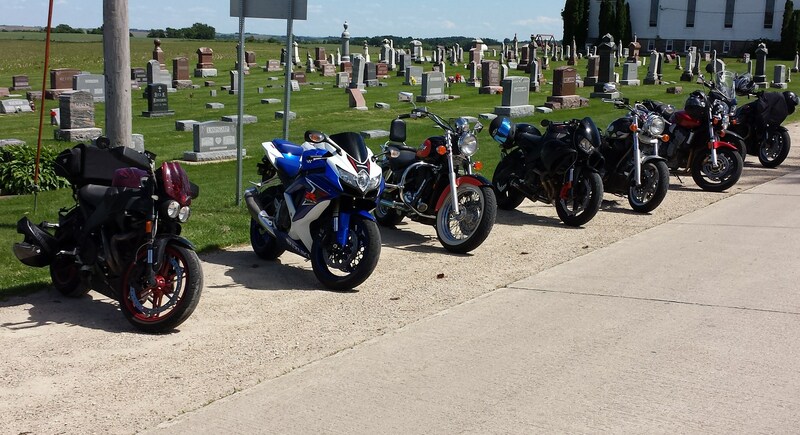 Bobbers are another subset of cruisers. They were probably the first type of custom bike. The story goes that the style was started by WWII vets returning and having the need for speed. The frames generally remain unmodified, because modifying a frame is expensive and time consuming. The rest of the bike has been modified to be lighter, more nimble, faster and “cooler” than the stock bike. The name bobber references the rear fender of these bikes which has been “bobbed” which means shortened (Think bobcat, short tail!). These bikes almost exclusively have solo seats. These were made by young guys from older bikes to be cool. They also often remove any excess parts such as long air cleaners, replacing them with pod filters, turn signals, instead opting for hand signals, and as mentioned large seats and fenders. 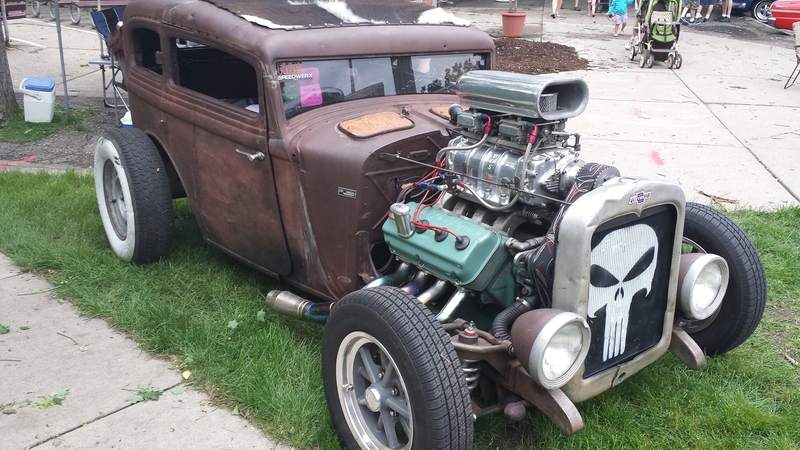 I would liken bobbers to the rat rods or traditional rods of the car world.Like a rat rod, go is before show! Bobcat, bobber. same thing, more or less. 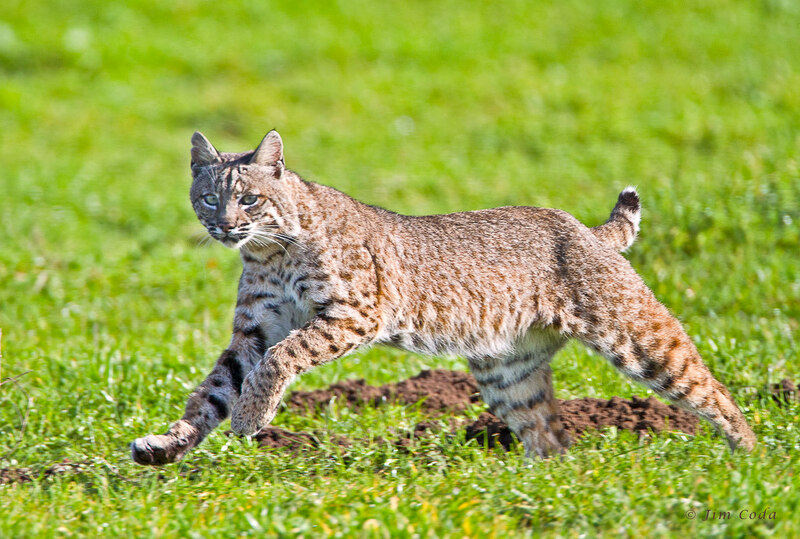 You probably shouldn’t try to ride a bobcat. Just a thought. This is a Bobber. 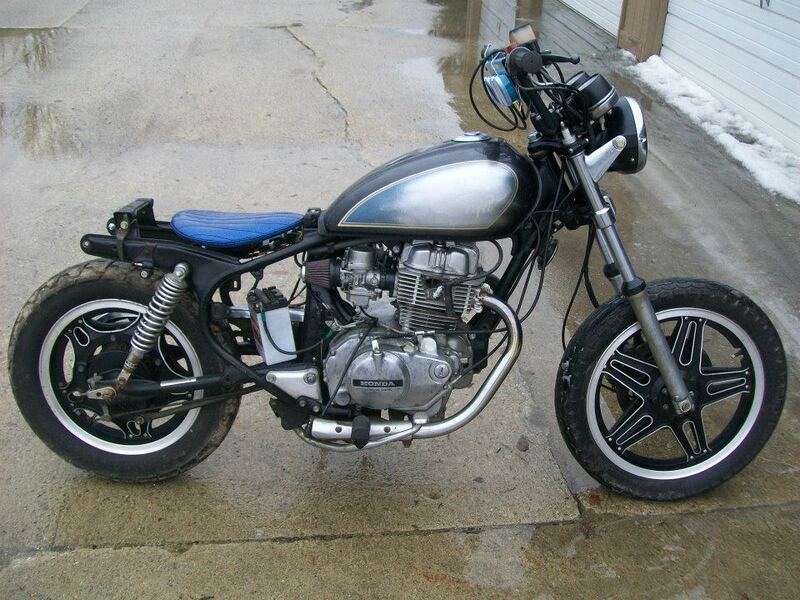 This one doesn’t have a rear fender, but you can tell it’s a bobber pretty easily. It has the straight across handle bars and a solo seat. What is a chopper motorcycle? Choppers are another type of custom bike built from cruisers. 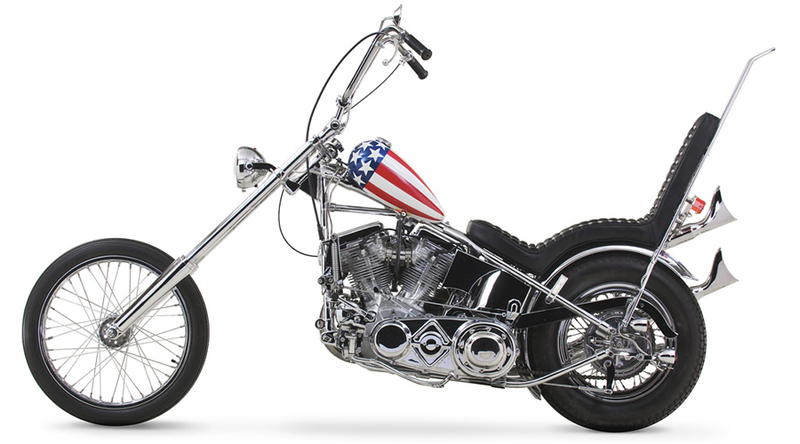 The one requirement for a chopper is that the front forks are extended or raked. This gives the chopper the long and low appearance. On older bikes perhaps extended forks were only used, as it was difficult to change the rake, but more recent choppers feature a more aggressive rake. This brings the engine closer to the ground. Compare the distance between the bottom of the engine and the ground on this classic chopper (from Easy Rider the movie) and a modern chopper. Choppers also can go a few ways with the handle bars, either very high (ape hangers) or some form of shorter and wider. They often have wider rear tires. Choppers are really more for style than performance. The long front forks make them hard to maneuver, except in straight line performance where they do perform decent because of their, usually large engine, and wide rear tires. I would like choppers to customs of the car world, they are about style. Classic Chopper. Notice angle and distance between the bottom of the engine and the ground. Also note the large “ape-hanger” handle bars. A modern chopper. Notice how close the engine is to the ground (and that it’s parallel to the ground. Also notice the swept back handle cars . 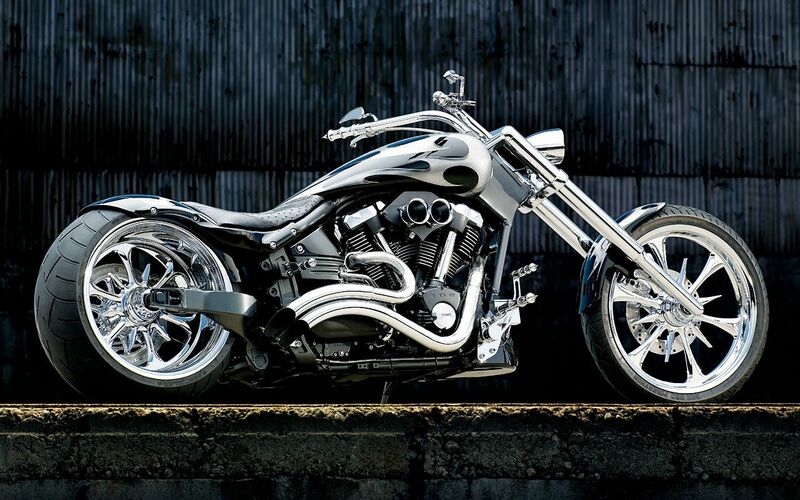 This custom is identifies by it’s lack of billet rims and clean paint. The next group of bikes are based on performance. As such I am calling the Speed-type bikes. What is a café racer? The “café” in café racer refers to the guys who built them to race bar to bar in Britain in the 1960’s and 70’s, bars being called café by our friends across the pond. Café Racers are similar to bobbers in that they are generally stripped down versions of production bikes. They are also generally solo rider bikes. 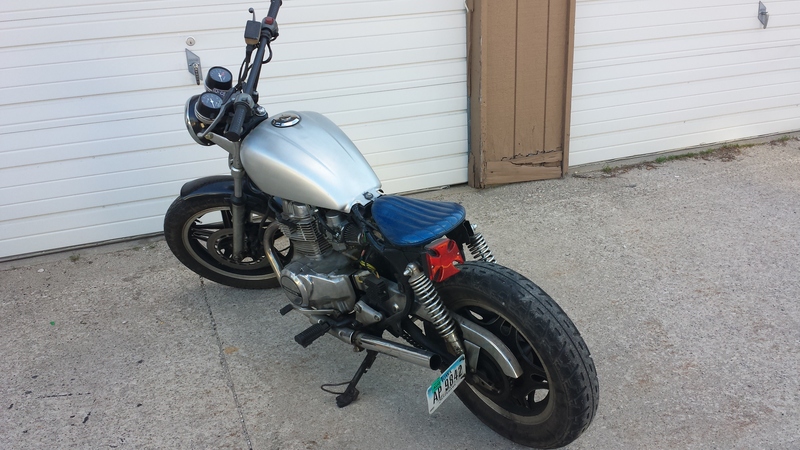 The seating position is where bobbers and cafe racers diverge from each other. Café racers often have clubman bars or clip-on handlebars vs. the straight across bars of a bobber. Clip on handle bars are bars where each handle is clipped directly to the front suspension forks. This is as opposed to normal bars which are one piece and bolted on to the top of the forks. Your feet are below or behind you on a café racer vs. in front of you on a bobber. Café racers are traditionally built from 1960’s and 70’s British bikes, Norton’s, Triumph’s and BSA’s. But in the last 10 years there has been a huge resurgence in popularity of café racers. They are now being built out of just about every motorcycle imaginable. 1980’s Japanese motorcycles are a popular platform for modern café racers because of their cheap purchase priced and relative reliability. Yamaha Cafe racer. Notice the clip on handle bars. The seating position under the rider and the solo seat parallel to the ground. What is a crotch rocket? There are a few types of bikes that fall under a the term crotch rocket. 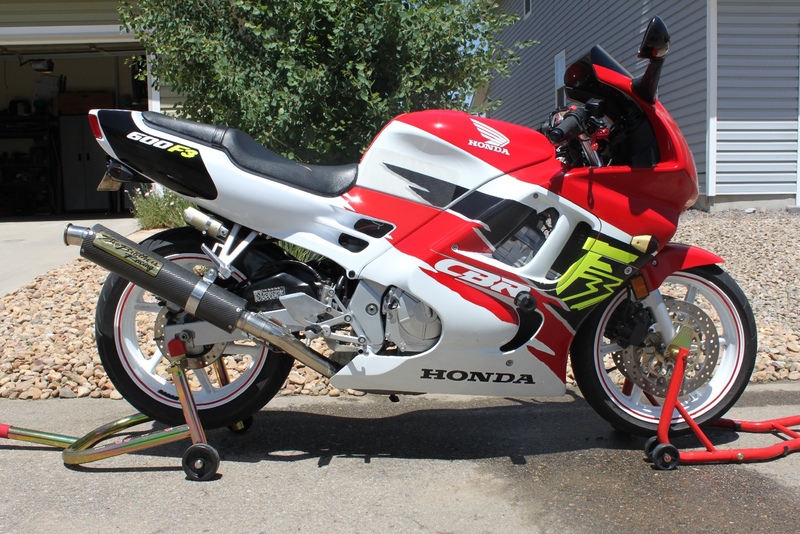 The first is a sports bike, and although I personally don’t often use the term crotch rocket for these some people do. These are bikes that aren’t as extreme as a supersport we’ll discuss next. 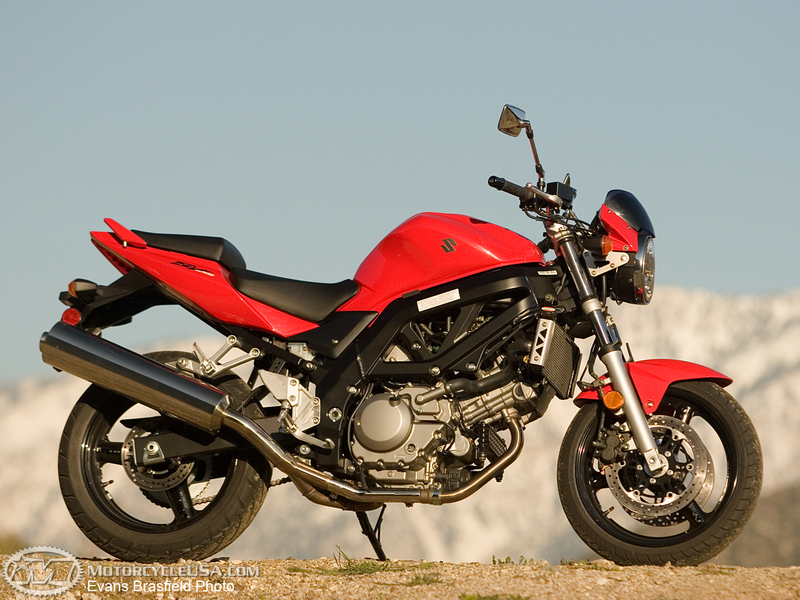 I would call a Suzuki SV650 (2 cylinders) or a Kawasaki Ninja 300 a sports bike. They are made for performance but they don’t usually have clip on handlebars, instead opting for a little more upright seating position. This makes them slightly more comfortable than a supersport (see below) Your feet can be below or just slightly behind you. They generally have good performance compared to a cruiser bike in terms of speed and cornering. Suzuki SV650, This is a sports bike because it has less horsepower (about 65 h vs 100 hp of a supersport) and a slightly more upright seating position. Compared to super sport bikes, sport bikes also have less fairings. 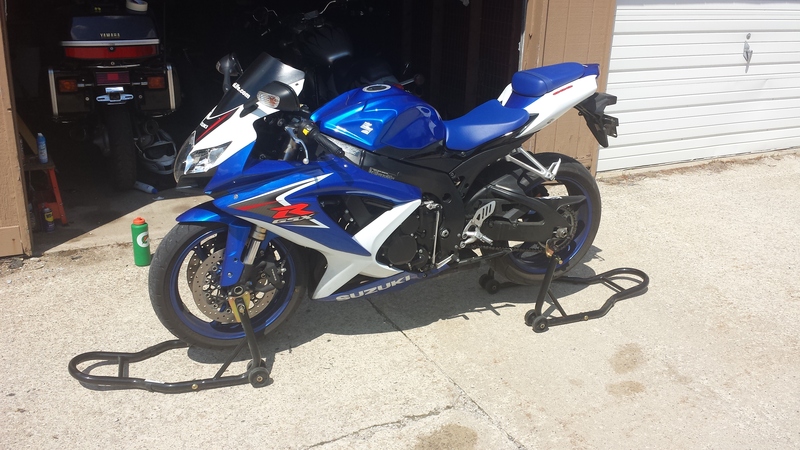 compart to the GSXR 600 below. A supersport bike is a step up from a sport bike. They are a bike that is basically a (very slightly) detuned race bike. When referring to crotch rockets, I generally exclusively use the term to mean supersport bikes. They are an evolution of the cafe racer. The seating position on cafe racers and supersports bikes is basically the same. It is a very aggressive stance, which is dictated by the clip on handlebars and your foot position below or behind you. This provides good aerodynamics and handling. 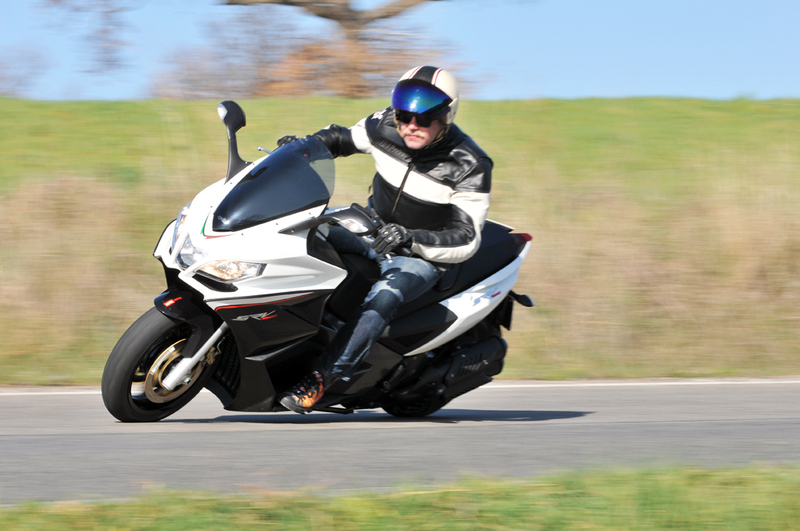 The aerodynamics are accentuated by a fairing, usually more faring than a sports bike will have. The engines are 600-1400 cubic centimeters and these days usually over 100 horsepower. They have very high redlines for their engines, up to 16500 RPM for some 600’s and a little less for the larger 1300 and 1400 cc engines. They almost exclusively have inline 4 cylinder engines. Supersport (what I call a crotch rocket almost exclusively) 2008 GSXR 600. notice the fairing and clip on handle bars. Naked bikes are an evolution of a supersport bike, and to confuse you more they can also be called street fighters (sounds cooler to me). 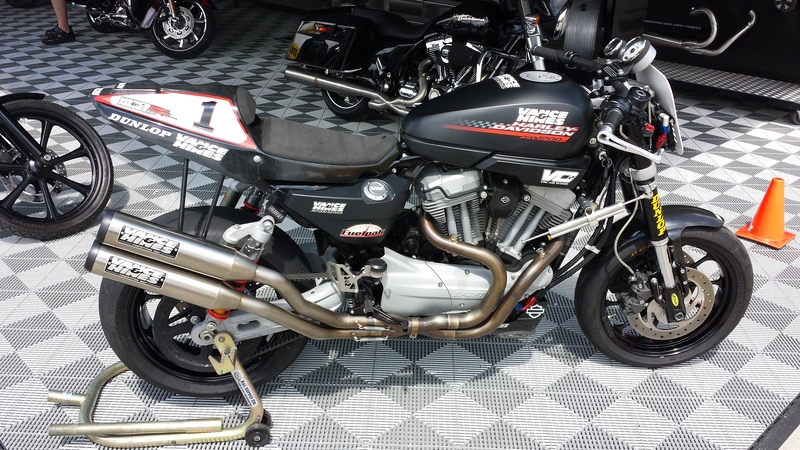 Why would you modify a good supersport bike you ask? Good question. 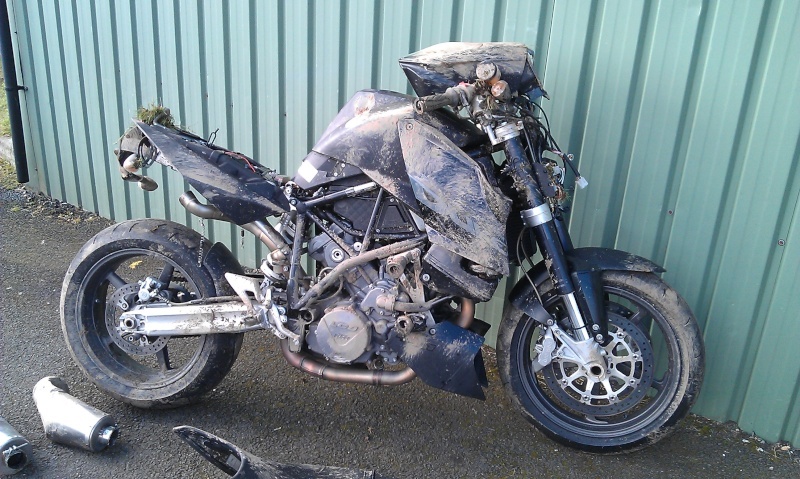 Naked bikes are usually built when a supersport is wrecked, which happens pretty often given that most people who ride them have more money than brains, and since rockets are cheap speed that sure doesn’t equal much brains. (I own a rocket, take that as you will.) The fairings are removed (because they are scratched or broken) and a less aggressive seating position is desired so often motocross style handlebars are added. The fairings being removed reduces the bikes aerodynamics but this is ok as most naked bikes are more than powerful enough compared to the skill of their riders, just being honest. My friend, Frankie’s, Street fighter. Built out of a wrecked Honda F3 600. Originally a super sport crotch rocket. 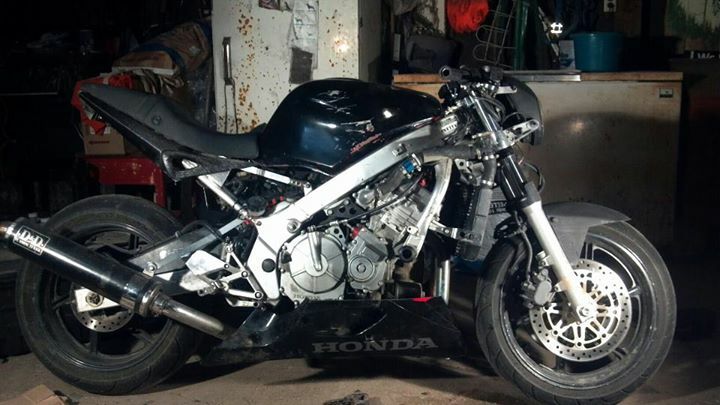 It’s a naked bike/street fighter because the faring are all removed, Covering the front of the bike, the sides of the engine, and the rear under tail faring. A new front headlight was added. Rear view mirrors were removed. The stock clip-ons were retained but were swapped, side to side. They come with a downward angle so this flattened them out, giving a more upright rider position. A stock F3 Honda 600 for comparison to Frankie’s street fighter above. On Road/ Off Road bikes. Up until now, we have looked at bikes that are best used on pavement. Now we’ll look at a few bikes that are good both on and off the paved road. Adventure bikes are similar to baggers and touring bikes in that they are meant to travel. But they will take you down the road and then back into the mountains, across the desert or through the stream. They are probably the most versatile bike around. They should be very easy to spot by their larger size, upright riding position and general utilitarian appearance. 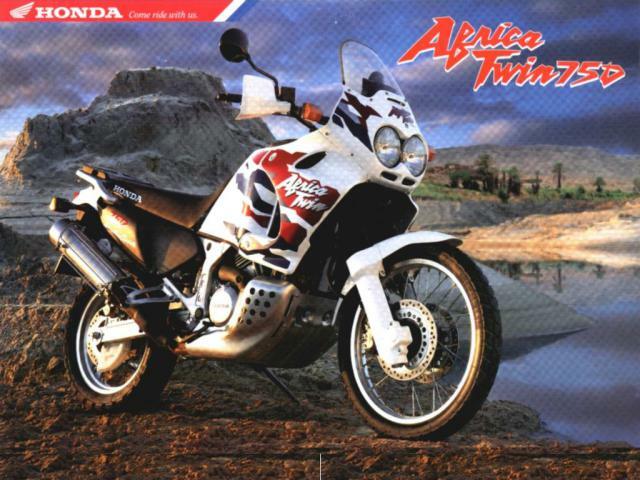 Honda Adventure bike. Pretty inspiring poster no? A dirt bike is not actually an on road bike, but it’s the basis for a few so I thought I should mention it. Basically a dirt bike is a motorcycle that’s meant to be ridden off road, through ponds, over jumps, in mud, sand, snow. They have a lot of suspension travel and are lighter than most on road motorcycles. They also have “knobbies”, tires with a lot of tread for digging your way through, mud, sand and dirt. What is a Dual sport? What is an Enduro? These are all bikes based on dirtbikes. An Enduro or endurance race is a long off road race. This is where the term Enduro stems from. So technically an enduro is an offroad bike but many people use the term for street legal dirt bikes also. Another term for these is a dual sport. The dual referring to on and off road use. These bikes generally have very little modification from the dirtbikes they are based off. Maybe slightly less knobby tires to give a little better street ride. They also have turn signals and headlights, required for street use. Other than that, these are generally the same as their off road counterparts. 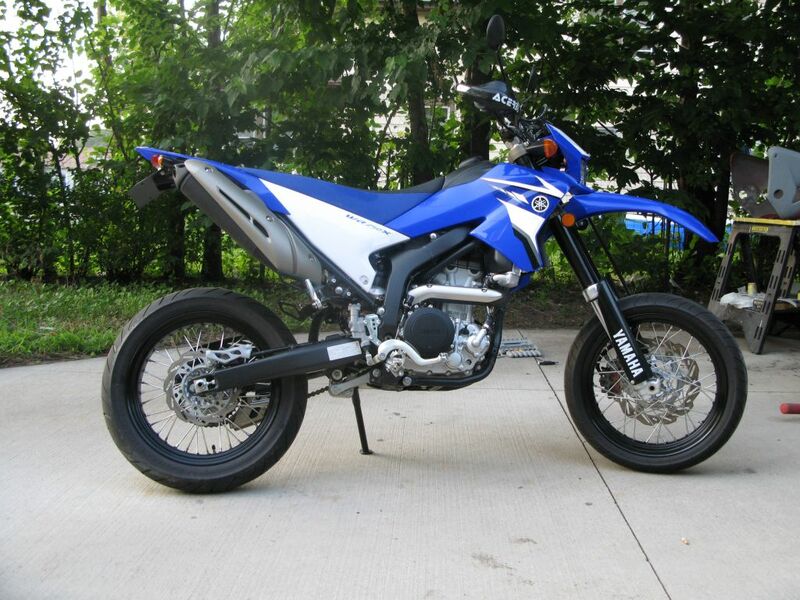 A supermoto is also a slightly modified dirt bike. Like a dual sport, it has the parts to make it street legal. They are based off a race series called supermoto, thus giving them the name.The main difference between an Enduro and a Supermoto is the tires. Supermotos have smooth street tires. 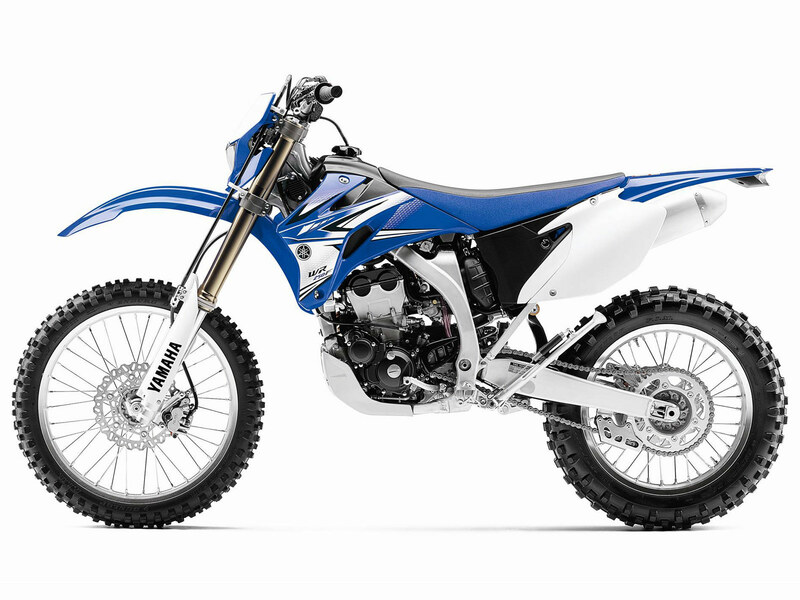 See the pictures below of a Yamaha WR250 street and dirtbike. Not much different! WR250 Supermoto. See the street tires and exhaust, headlights and turn signals. I only take a second to mention scooters and mopeds because they are also 2 wheeled machines. 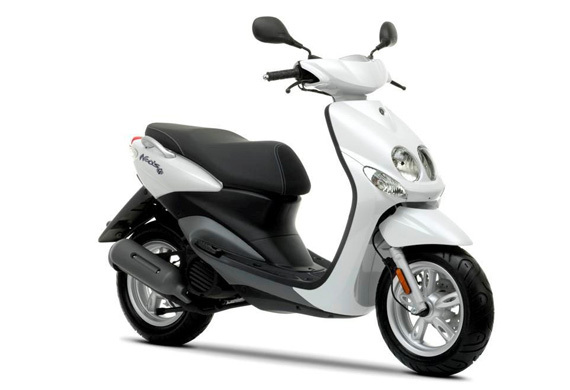 They are much more utilitarian than motorcycles in that they are generally used for short in town trips. They also have a step-through design where your feet are in front of you. Usually, they are limited to something between 35 and 45 mph but there are scooters that will do upwards of 65 mph. Like most things, you’ll know one when you see one. 850 cc Aprilia v-twin 76hp, still a scooter? There are also many bikes that have 3 wheels. Some have 2 in the back like a traditional trike. 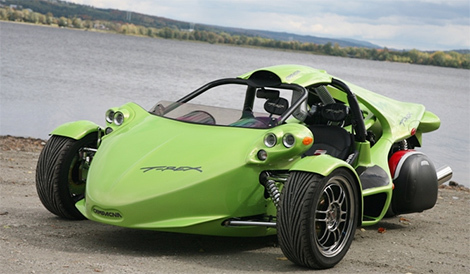 Some have 2 in the front like the new Polaris Slingshot or a Campagna T-Rex. 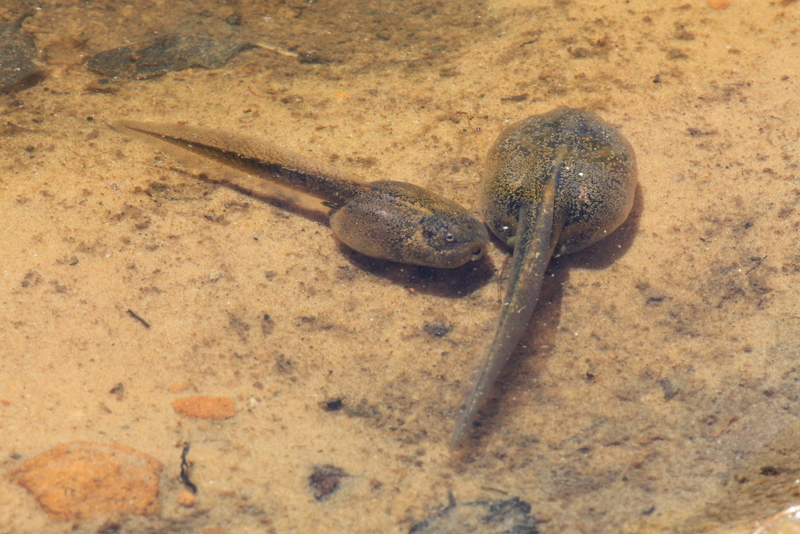 Someone called these Tadpoles once due to their resemblance to one with a wide front and skinny back. I thought that was pretty dang funny. Do these count as motorcycles? Who knows, but I felt obligated to give them a quick shout out for the heck of it. Tadople. Slingshot. T-rex? I see a resemblance! As always, feel free to visit us on Facebook to get similar content in the future! So after all that, what is your favorite type of motorcycle? What type hadn’t you heard of before? What type do you own? What will be your next one? Which bikes did I miss? What kind of bike to you think this Harley Sportster below is? After this nice article about classifying bikes I will confuse you thoroughly by giving you a bike that almost defies definition. It is based off a Harley Sportster so is it a cruiser? It has clip on handle bars and behind the rider seat position so is it a crotch rocket? 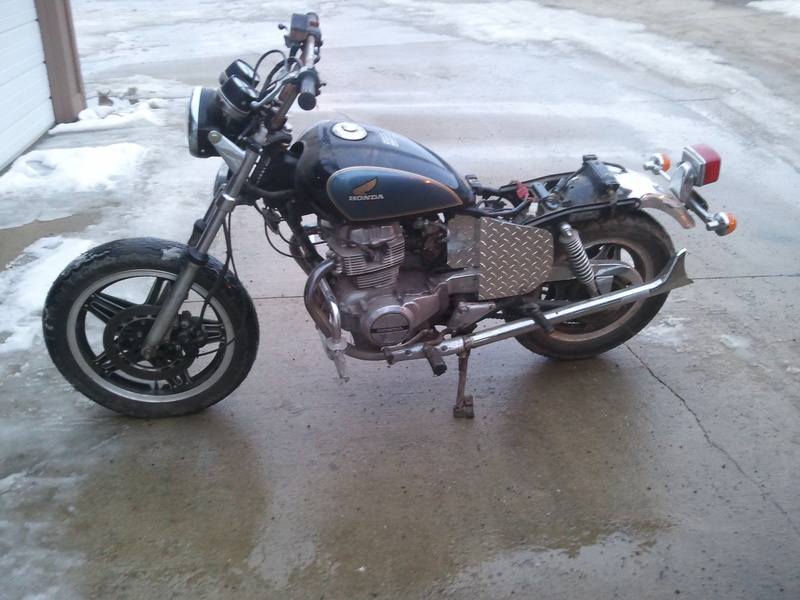 Is it a cafe racer? Who knows. All I know is I think it’s sweet! What do you think it is? Feature write up about my 1981 Honda CM400C bobber. Don’t forget to check out the home page for other articles and like My Wheel Life on Facebook from the home page or subscribe via email to get articles as they are published! A bobber is a style of building a motorcycle. Other styles are chopper, cafe racer, sport bike, naked bike, etc. In theory, any motorcycle can be built into a bobber. The term bobber refers to the rear fender being “bobbed” which basically means shortened. That is the ethos of the whole bobber is to make a simple bike. Take all the superfluous parts off and have a good time with the bike. Bobbers have a non-modified frame/front forks, vs. choppers which often modify the frame and install longer forks for the raked look. This is very expensive, vs. building a bobber. 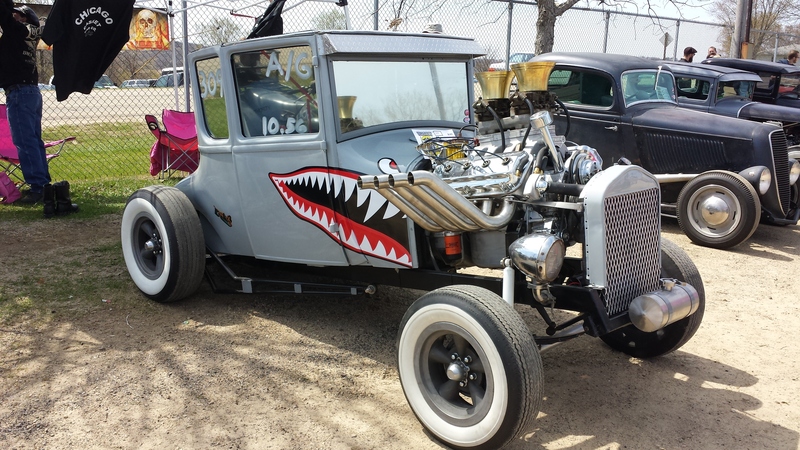 Bobbers can be thought of as similar to rat rods, or more akin to early hot rods in that the guys would remove everything to be light and functional vs flashy but slow, like customs or lowriders (generally). This is the story of my bobber. I have been a car guy since I was about 14 but I actually had a dirt bike before that, about 12 years old. 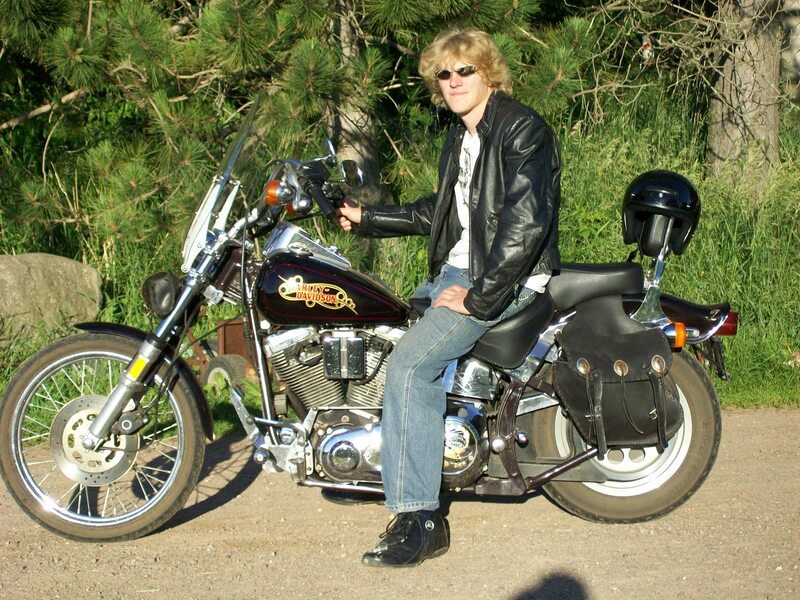 When I got out of college and was able to work on stuff, I migrated to motorcycles, since you can fit 5 or 6 motorcycles in a one stall garage and work on them vs. one car with very little room, and bikes are cheaper, and still tons of fun! 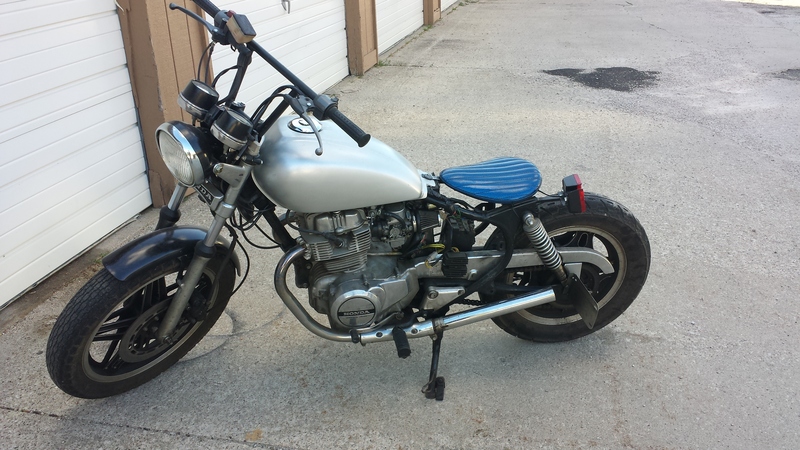 My bobber was built from a 1981 Honda CM400C. The last C is for Custom which means it has a different gas tank and options than other CM400’s such as the CM400T. This was very beneficial to me in that I believe the Custom gas tank is a good looking tank from the factory. My father’s cousin is the oldest owner of this bike that I am aware of. He had not ridden this bike for as long as I can remember. Sometime around 2007 he gave the bike to my younger brother. My brother did a little work to it here and there but mostly it sat in our machine shed and collected dust. Around 2012 after I graduated from college I was reading a lot of magazines and finally had a little money. 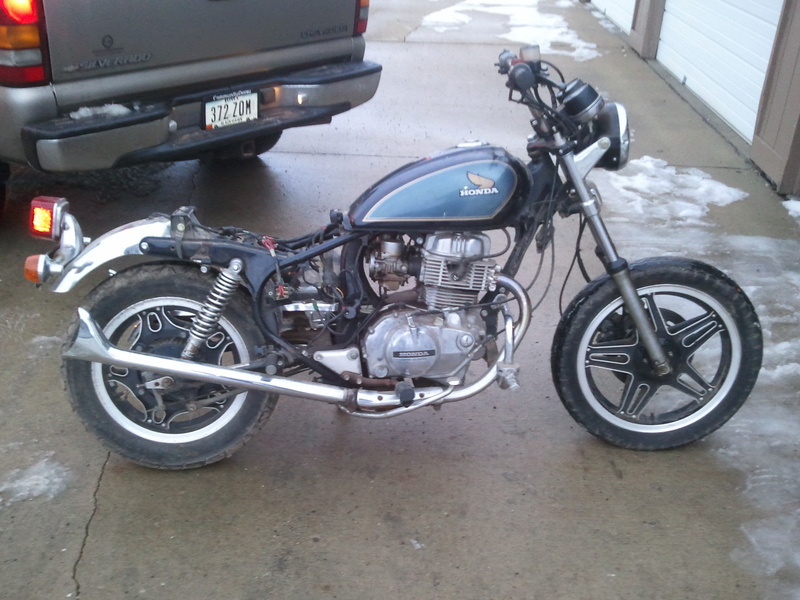 I started talking my brother into starting to build his first bobber. He did get a good set of handlebars made (he’s a welder by trade). He had also already removed the stock airbox and installed the individual pod filters for each carburetor (there are 2). I got the bike in Jan 2013 and took it back to Iowa with me. A myriad of things were done to build the bobber. The huge seat had already been removed and I finished that job by removing the rear half fender and tail light assembly. I also cut the frame to make it shorter. Then a LaRosa solo seat was installed. I also removed the stock battery mount and built a small box and used a bike rack mount strap to hold the battery in and I painted the battery black to make it blend in more. 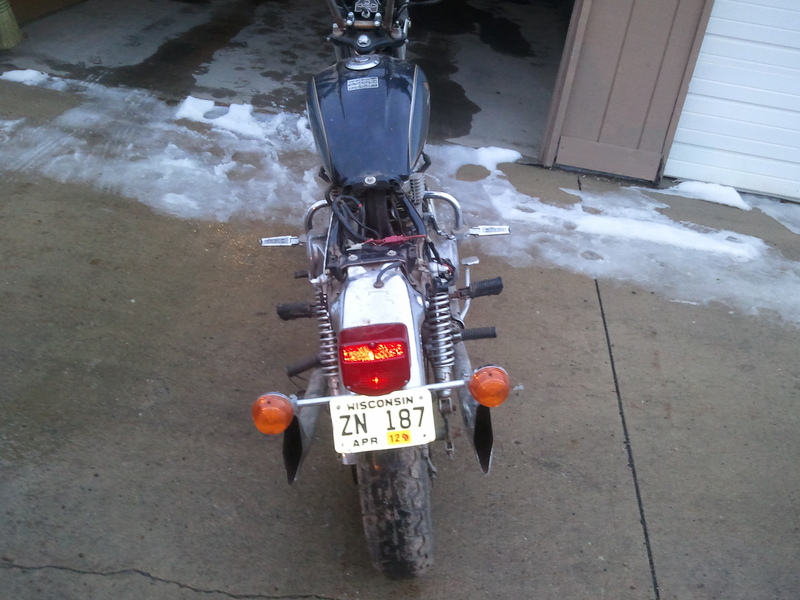 Since I had removed the rear taillight and license plate mount I fabricated new mounts for those and installed the Iron cross tail light. Turn signals are via hand signals. My brother had also installed the exhaust extensions with the fishtails. I removed those and ran without that part of the exhaust for a while. After a small run in with Johnny Law, and a warning for a loud exhaust, I cut the fish tail part off and put some baffles in the straight part and reinstalled the straight pipes. Of course, being an old bike the muffler under the bike had rusted some and one of the pipes fell off, so until I get back to fixing that the bike is back to no exhaust after that under-bike “muffler”. I painted the tank silver and ran the bike for a while with no front fender. Being that I got the bike in the winter/early spring I was often driving in the wet parking lot and quickly decided I needed a front fender. Luckily the Honda has a nice rounded front fender (vs a square type fender like a Yamaha Virago of the same vintage. I reinstalled the front fender but painted it black to blend in. That looked good, in my opinion. I also left the chain guard installed,and have not repainted it yet. This is another utility thing. As I actually drive the bike, I’d rather not be covered in chain lube. I have seen tons of bikes in magazines that have neither of these things and I wonder how they ride without a front fender and chain guard. I also did a lot of little tuning that comes with a 30 year old motorcycle. I cleaned the carbs, changed spark plugs, tuned the clutch release, etc. This bike is an incredibly fun little bike for running around town. It’s not extremely powerful (about 30 hp) but it’s very light and it revs to around 10,000 rpm! It’s actually quite comfortable with the handlebars and seat the way they are. I have put about 1500 miles on it in the last few years and continue to drive it mostly around town, although the longest ride I taken it on was about 90 miles. I have also had a friend, who’s new to motorcycles, ride this bike around as a starter bike. It’s great because it’s not a bike you get to worried about if it gets a scratch or is driven in the rain. 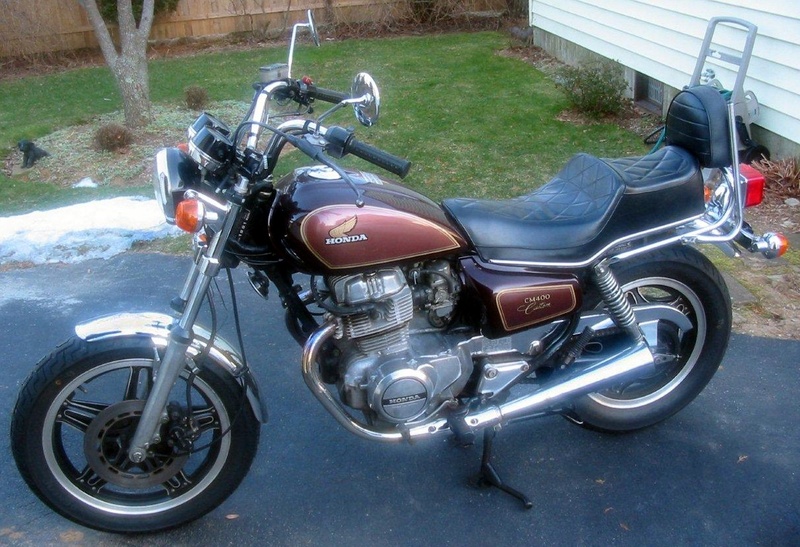 1980’s bikes are pretty cheap to buy as far as buying a motorcycle, or any project goes. But make sure you check ahead of time, because parts can be expensive! A new/used coil for my bike is something like $400! while that’s all a whole bike costs also! Of course there are workarounds for everything, it just depends on how resourceful you are. 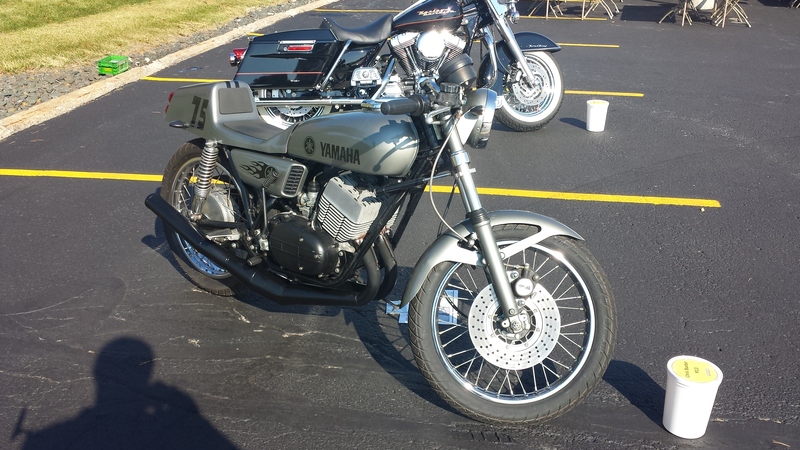 Forums are a great place to get knowledge on older bikes. One I like is http://www.DotheTon.com My name on that forum is ajh1989, add me if you decide to get on that forum. 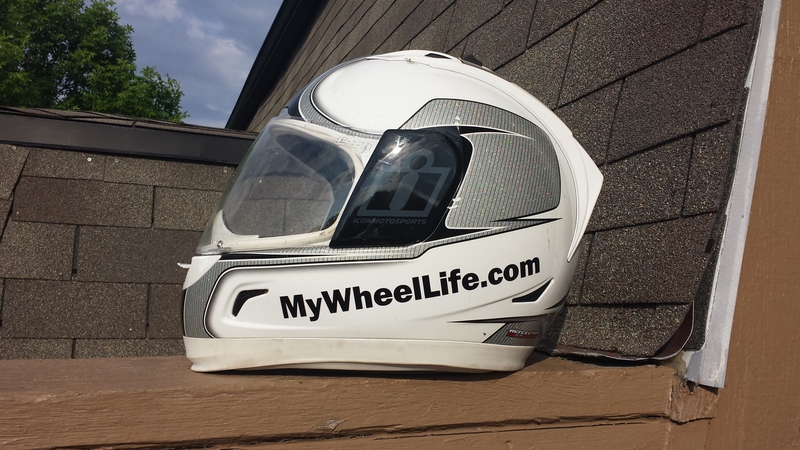 There are also tons of bike specific forums with tons of gearheads who have probably already fixed the problem you are encountering, especially if it’s a 20 or 30 year old bike. You won’t be the first person to have had that problem. Overall, bobbers are a great start to working on your own stuff. They are cheap to buy. Cheap to modify and cheap to insure! So what are you waiting for? Go out and buy a bike and chop it up! Have you already bought/build a bobber/chopper/cafe racer/naked bike etc. Share it in the comments below! Hello world. My name is Axel Hoogland. My passions are speed, design and engineering. I am a gearhead, car guy, engineer, motorcycle rider, dirt bike rider/racer, amateur/aspiring car builder and hopeful entrepreneur. I don’t discriminate against any genre of cars. Classic muscle cars, super cars, trucks, vans, motorcycles, classic hot rods, rat rods, sleepers, odd ball builds, dirtbikes, monster trucks, rally cars, drift cars, if people are passionate about their vehicle I love ém all! Growing up my father told me that I should shy away from being a mechanic as a full time job. He told me that cars were a good hobby but not a high paying career. There was some truth to that but obviously many people are able to make a career out of working on cars also. That being said, I am very grateful for the direction my father steered me in. I was able to attend a 4 year college and graduate with a mechanical engineering degree. This has allowed me to be exposed to the initial steps of what goes into designing engines and vehicles. I now have a greater appreciation of all the testing and design work that happens before any vehicle is released to market. I also have been fortunate to visit many manufacturers of various components. Heads, blocks, frames, tires, rims, shift knobs, dipstick tubes, they are all made by someone! I have learned that no one (company or individual) builds a car by themselves. Every company has thousands of suppliers for each part of the car. I was grateful to be exposed to dirt track racing from my father at an early age. His love of racing consumed all his free time that wasn’t spent farming. Also growing up on the farm I was exposed to a lot of broken machinery. I have been fixing things from a young age. As I have grown older I have been able to work on projects that are more interesting, involved and fun oriented than broken farm machinery. During college I was part of a (FSAE) Formula Society of automotive engineer’s team. This is a great team for young gearheads. The team designs and builds a Formula 1 style (scaled down with a 600cc or less motorcycle engine) race car and compete against many other young hard working college students from around the world. Since graduating I have had difficulties, at times, finding gearhead activities. This summer I am hoping to take in as many gearhead activities as I can. I have already participated in my first SCCA autocross. That was a great time despite the torrential rain all day. There were about 40 cars there and the people were great fun to talk to. I also took my newest car drag racing this summer. 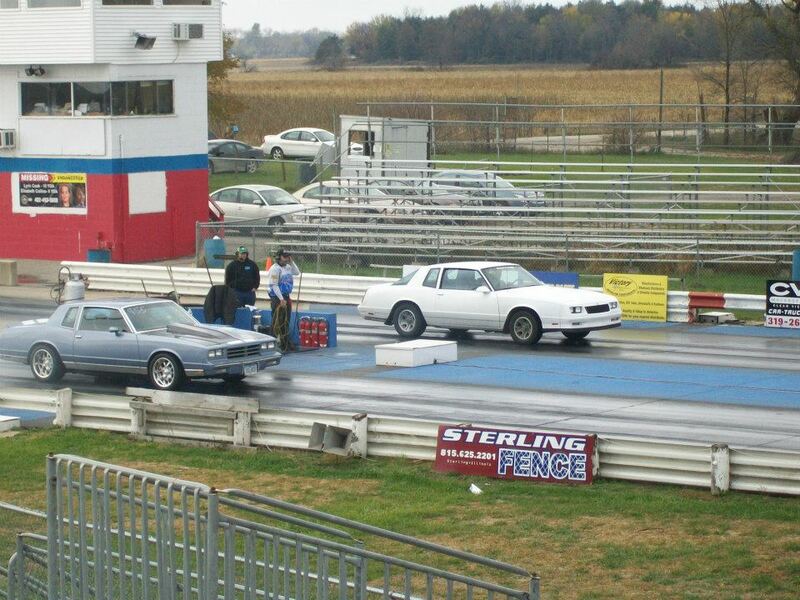 I have been drag racing before but it is always fun, especially with a new car. I will try to share some stories from those adventures in future posts. I have also found it difficult at times to get friends interested in car related activities. Often people these days are only interested in drinking, watching tv, playing video games or putting all of their pictures of them doing those activities on social media. I don’t want to sound like a troll here. Those are all fine activities and I enjoy them on occasion, but personally I get much more enjoyment from going out and working on a car, going to a car show or better yet driving! Through My Wheel Life, I want to inspire those of you who have similar interests to get out of your house/apartment/local bar and start participating in the gearhead community.